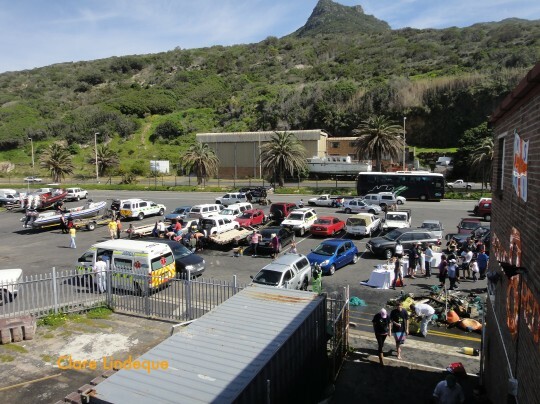 Learn to Dive Today Blog – Page 211 – Everything ocean related, with a special focus on scuba diving the rich coastal waters of Cape Town, South Africa. 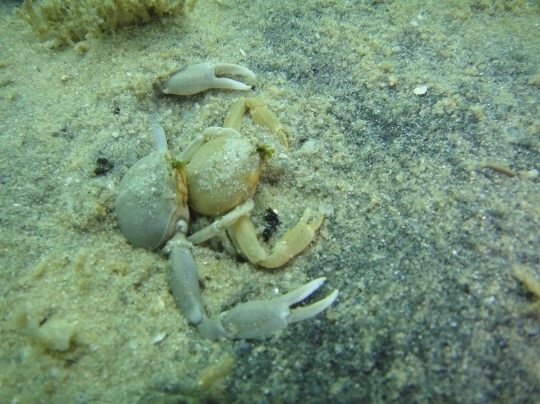 Here’s a video clip from a night dive we did in June this year at Long Beach. 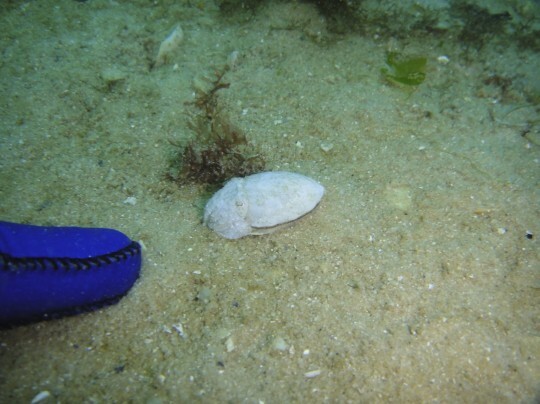 Look out for the box jelly with one tentacle, a klipfish, the beaked sandfish digging themselves into the sand, two warty pleurobranchs, an octopus hiding under a piece of plywood, a cuttlefish under the wreck, a two tone fingerfin, and a little jutjaw (we think). This is an early night effort taken on my Sea&Sea camera with torches instead of a strobe. The resulting hotspots are eliminated when using the Bonica Snapper, provided the light is positioned appropriately. I got a bee in my bonnet about watching this after subscribing to the Apex Predators newsletter and being impressed with the level of detail provided about shark and marine mammal movements in False Bay. The lack of publicly available research on sharks is one of Tony’s (and my) bugbears, and to see a for-profit operator providing such a level of disclosure, and demonstrating such an obvious passion for the work, was fascinating and very encouraging. If academics won’t cough up the facts, at least the commercial operators will. Air Jaws was produced for the Discovery Channel’s annual Shark Week. 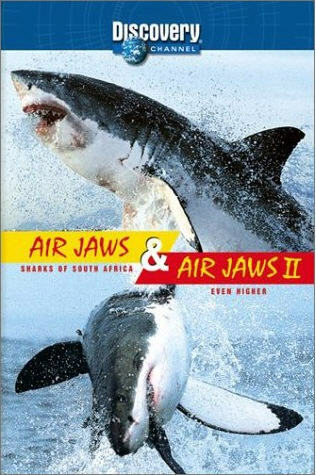 Shark Week has been slammed for its sensational treatment of sharks and shark attacks, but we were pleasantly surprised by both Air Jaws documentaries. Pleasantly surprised is actually an understatement – Tony and I were totally blown away. The footage of breaching sharks and frantically twisting and turning seals, filmed at Seal Island in the middle of False Bay, was breathtaking. We found ourselves cheering for the seals, and simultaneously stunned by the raw strength and power of the sharks as they fling their entire bodies from the water. This is a documentary – there is no mention of attacks on humans, no alarmist talk, and a fair amount of science. Even though it’s American, it’s measured and balanced. The second Air Jaws follows a research team to Australia and California, to see whether the great whites breach there, and if not, why not. There are some gaps, and it’s not as visceral as the first production, but it’s still very interesting. We were interested to see how the sharks will go after a decoy seal made of Hollywood prop materials that wouldn’t smell, move or give off any electrical signals like a real seal. You can get the DVDs from Amazon.com or Apex Predators. Drop them an email if there isn’t a link on the website, or visit their store in Simon’s Town. 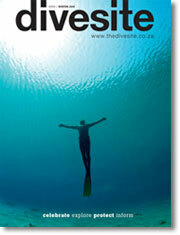 If you dive in South Africa and you have not signed up for The Dive Site magazine, you should. It’s free – costs not one cent – and the best dive magazine in South Africa. The articles are fascinating, the photos are magnificent, and that necessary evil – the advertisements – are relevant, classy and unobtrusive. It’s a large format magazine printed on thick glossy paper, which means that you can keep it proudly for years to come. There’s also a weekly newsletter that is well worth signing up for even if you can’t get the magazine (the print run is limited). It features awesome photography, blogs by divers, conservationists and other interesting people, and very cool competitions. 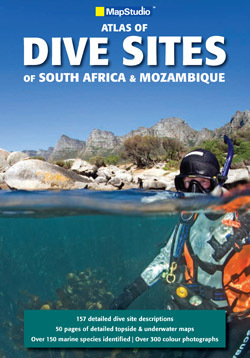 Bookmark The Dive Site in your web browser and support this high quality initiative for South African divers! Though I hardly think Pablo Neruda classes as schmaltz! This poem is from Twenty Love Poems and a Song of Despair, and translated from the Spanish. If you can read Spanish (I’m jealous!) then you’ll want this version of the book (if you’re in South Africa), otherwise get the Amazon.com version here. 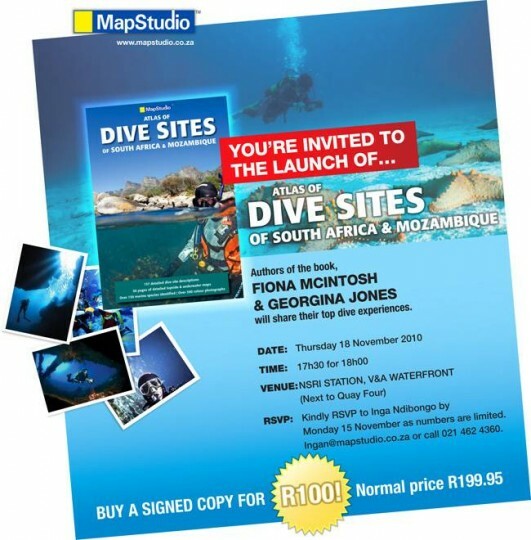 This is a brand new release from MapStudio and diver-author Fiona McIntosh. McIntosh specialises in outdoor adventure topics (hiking routes, caving, etc.) and she has produced a handy volume detailing the best dive spots around South Africa in some detail. The “atlas” moniker is accurate: the volume includes maps of the whole area, with inserts depicting the dive sites in question. 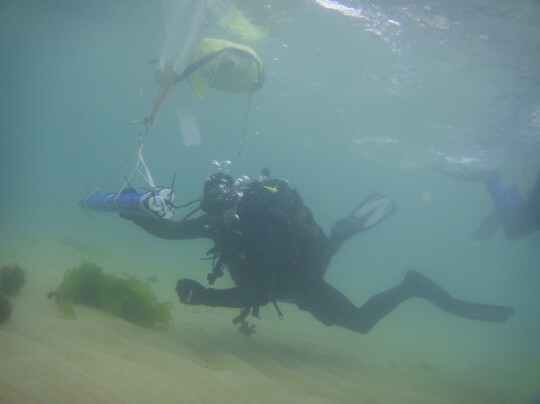 This potentially enables experienced divers to explore sites independently of a local operator. There are only a few sites featured in each area, but the dive sites featured are the “best” in each location. They have been selected on the basis of safetly, and pristine condition. There are additional sites listed, along with their locations, but maps and reviews only appear for the short list of top dive sites in each place. 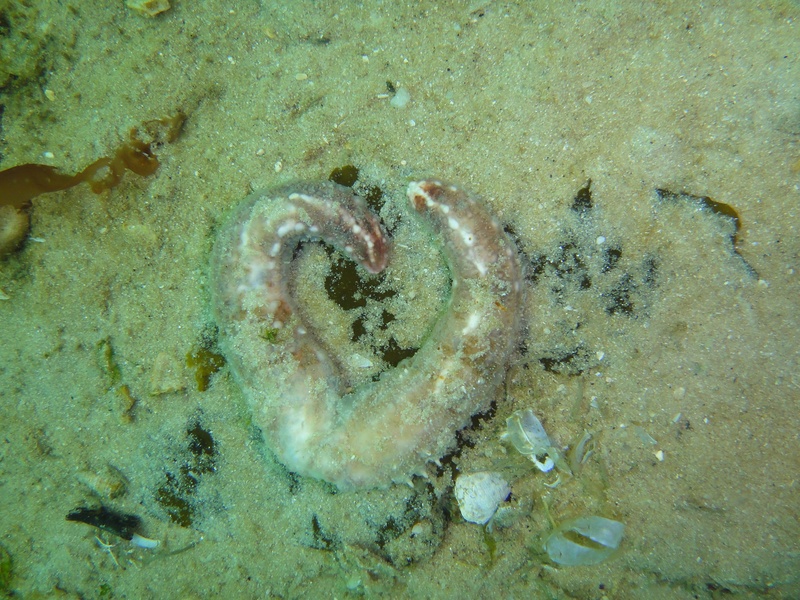 I was interested to see the quality of diving offered on the south coast in locations such as Plettenberg Bay. Apparently there are also some super dives in Hermanus, though no permanent dive operator there. The atlas definitely made me want to travel! 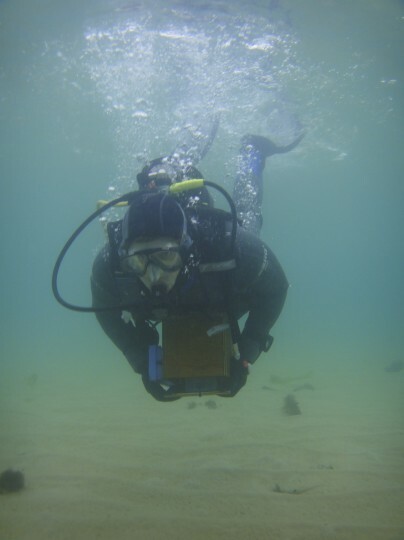 At the back of the atlas is a section on marine life, by SURG‘s Georgina Jones. It’s a whirlwind tour, of necessity, since it covers not only the Cape but the entire South African coastline. The book also includes contact details of the various dive operators around the country, as well as general dive tourism information. 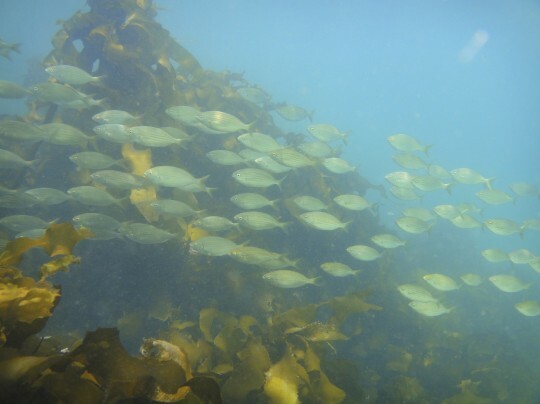 I was pleased to note that in the Cape Town section, McIntosh includes the web address of Peter Southwood’s wikivoyage page on diving around the Cape Peninusla and False Bay for those who require more detailed information. Tony and I attended the launch last week, at the NSRI Station at the Waterfront (very cool venue!) and enjoyed catching up with the diving establishment of Cape Town. Fiona gave a whirlwind tour of diving in Southern Africa (the Mozambique section of her talk – and of the atlas – made me drool), and Georgina did a natural history tour of Cape diving for us. We are definitely very fortunate here in the Cape! You can get a copy of the atlas here. Apologies for the absence of newsletters for the last two weeks – life has been a bit hectic. My cellphone was stolen last weekend, so if you haven’t already sent me your contact details please hit reply and let me have your phone number! Clare and I are getting married this coming Saturday, so I will be taking a few days off from diving starting on on the 27th November. I’ll be back in the water on Wednesday 1 December and everything will continue as normal from there. Kate, my UK Zero to Hero candidate, is well into her Divemaster course, and I have several Open Water courses on the go as well as one or two starting in the near future. We are also close to completing the Wreck Specialty course, which has involved some very enjoyable boat dives in False Bay. 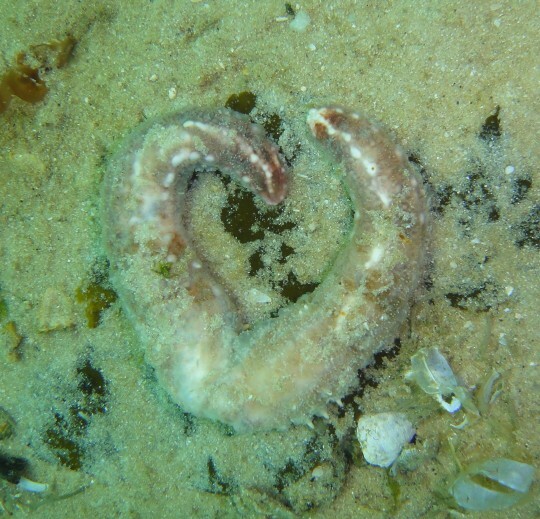 The weather has been super for diving the last few weeks, with water temperatures varying from a fresh 13 degrees at Long Beach (with fantastic 8 metre visibility!) to a much more acceptable 18 degrees. We have been exploring the northern part of Long Beach, and finding all sorts of little creatures on the sand. This weekend we did two boat dives in False Bay. 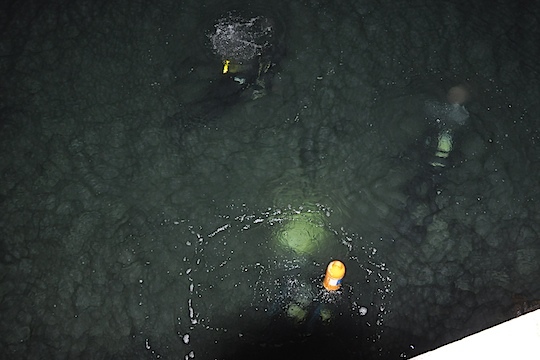 The first was to the SAS Good Hope, where we had excellent visibility despite rather dark and cold conditions. Kate, Clare and Tami completed some of their Wreck Specialty skills. The second dive was to Photographers Reef, a beautiful location that is very appropriately named! Despite the rainy weather, the conditions underwater were fantastic. See you in the water soon! PS Remember that a voucher for a DSD is a great Christmas present for non-diving friends and family. Contact me for more information. PPS Please remember your diving permits from the Post Office (costs about R95 for a year). Season is in full swing and random checks from the authorities are likely. If you’re caught diving without a permit, your kit may be confiscated… An expensive day at the beach! Tony, Kate and I recently completed the theory portion of the CMAS (here’s the South African branch) compressor operator course at False Bay Underwater Club (FBUC). The theory component involved a 2 and a half hour lecture delivered by a CMAS instructor, and a written (no multiple choice!) exam. The manual was written by Peter Southwood, the local wikitravel guru. Operating a compressor is reasonably simple: there’s a well-defined sequence of actions that need to be performed on start up and shut down, as well as constant monitoring of the compressor during the filling process. Some compressors require bleeding off of accumulated moisture and residual oil throughout the filling process. As long as one is circumspect regarding which cylinders one agrees to fill, it is a safe activity. 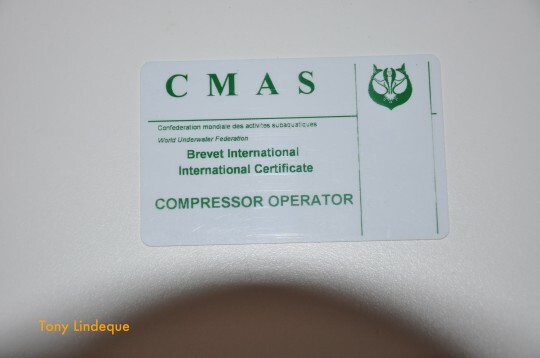 Turns out in South Africa (and elsewhere) compressor operation and standards are heavily regulated. Given that compressed air cylinders are used in a range of life-critical applications such as fire fighting and scuba diving, this makes good sense. The practical portion of the course requires us each to perform 20 cylinder fills, including a number of compressor start ups and shut downs. This must be completed within a year of doing the theory component, and signed off. I expect that getting my hands on a compressor and actually doing the fills myself will clarify a lot of the questions I had, and bring those schematic diagrams in the notes to life! This is my favourite movie – I can’t believe I didn’t think of it earlier in the category of “ocean movies”! It has an incredible cast – Bill Murry, Angelica Huston, Cate Blanchett, Owen Wilson, Willem Dafoe and Jeff Goldblum. The humour is not laugh out loud funny, but – in true Bill Murray style – the kind that makes you chuckle or smile to yourself. 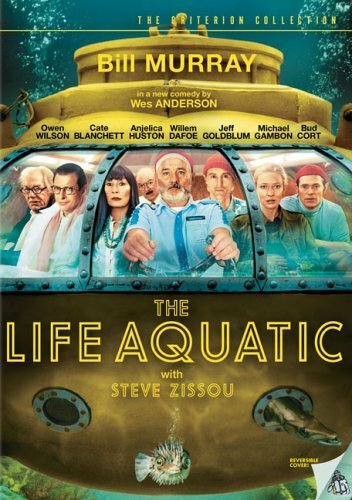 Steve Zissou is an underwater researcher like Jacques Cousteau (even down to the Speedos and little red caps). The film traces his attempt to track down the jaguar shark that ate his partner, and his reunion with his illegitimate son. The sea life is rendered using computer graphics or giant puppets – most of the creatures shown are fictional, but beautiful nonetheless. My favourite part of the movie was the Belafonte, Steve’s ship. The actual ship used in the filming was a former South African minesweeper. but a huge cross-sectional model was also constructed. I also loved the soundtrack – very quirky, with some tracks specially designed by Mark Mothersbaugh to sound like they were produced on a Casio electric keyboard. There are many things about this movie that make me laugh when I think about it. Aside from the comic element, the film is very moving indeed. The final scene when the crew walks down the jetty over the credits is beautiful, as is the exit from the awards dinner with Steve Zissou carrying a little boy on his shoulders. The music at that point was perfect. The DVD is available here if you’re in South Africa, otherwise here. If you liked the soundtrack, including some David Bowie performed in Brazilian Portuguese on an acoustic guitar, you can get it here or here.